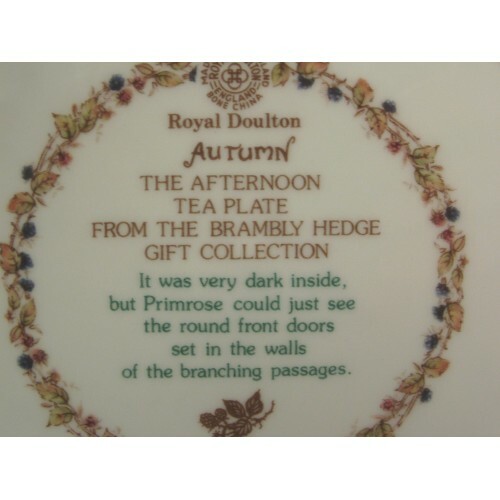 A charming Royal Doulton afternoon tea plate from the Brambly Hedge Gift Collection. 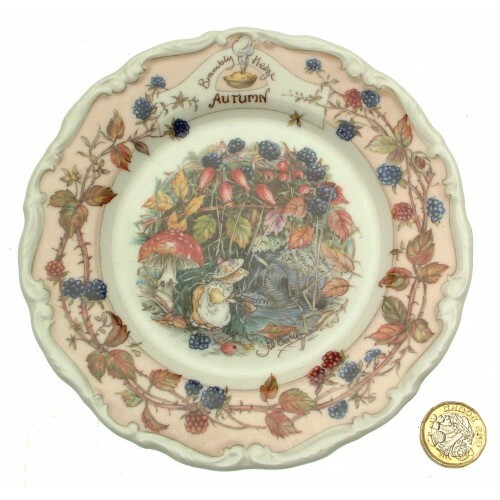 This side plate is Autumn and measures 16 cms in diameter. Although previously owned, this plate is in excellent condition and is of first quality. Dates to 1983. Previously owned but in good condition.Dimensions: 5.75..
Royal Doulton tab handled cake plate, Spindrift pattern. 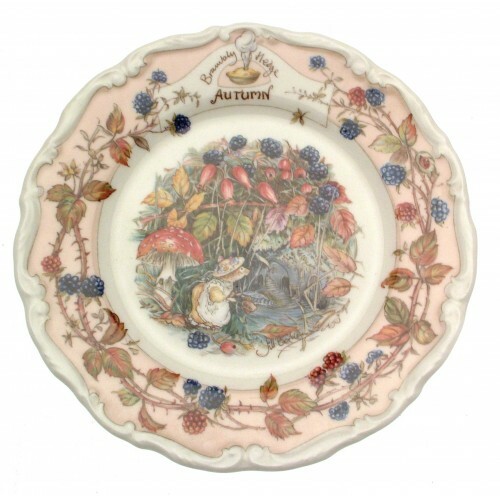 This is a previously owned plate, and does ..
A stunning Brambly Hedge Summer plate from the Brambly Hedge Gift Collection, Jill Barklem, and dati..